Endorsements have long been a strategy for brand managers to help boost brand equity and product sales. Historically, high profile endorsements have primarily been reserved for the world’s largest companies – those with deep pockets. In today’s world of social media influencers, however, the strategy is far more available even to the smallest startups. And furthermore, with athletes and other celebrities increasingly diversifying their interests and personal brands, there is rising access to even the most coveted partnerships. Today, we are seeing endorsements being utilized by companies of all sizes and from all industries. From apparel, to financial services, to technology, big name endorsements have become a go-to for the world’s top brand managers. Traditionally, we have viewed endorsements and partnerships as a way to gain an advantage over competitors and grow sales. No business utilizes such a strategy quite like the basketball shoe business. Since the introduction of the Air Jordan sneaker by Nike in the mid-80s, the generic, unendorsed basketball shoe has all but vanished. The vast influence of basketball endorsements has even carried over to other sports – for example, Nike’s website offers football and baseball cleats under the Lebron and Jordan brands. Nike has since made a concerted effort to corner the market by signing the game’s top stars to exclusive endorsement deals. To get an idea on just how highly the company values these deals, we can look to the 2014 deal made with Kevin Durant, reportedly worth $300 million over 10 years. And it gets better – just a year later in 2015, Nike signed Lebron James to a lifetime endorsement deal worth “north of $1 billion.” With deals like these, in addition to exclusive contracts with other stars such as Russell Westbrook, Kyrie Irving, Paul George, and retired superstar Kobe Bryant, it is difficult to imagine how any company could dream of challenging Nike’s dominance in the basketball shoe business. This, however, is exactly what Under Armour set out to do. The athletic apparel company, which started with a simple mission to replace cotton undershirts with microfiber shirts for elite athletes, has since established itself as a viable challenger to Nike in the shoe game. How exactly did Under Armour set out to contest the company that once held over 90% of the sneaker market? Endorsements! One such endorsement in particular – Stephen Curry. In 2009, before he was one of the greatest shooters of all time, Curry entered the NBA under contract with Nike. When it came time to renegotiate, Under Armour saw its opportunity to leverage the power of endorsements and take a shot at Nike. Ultimately, in 2013, Curry signed a deal with Under Armour for just $4 million per year (a relatively insignificant amount in the world of celebrity endorsements, which Nike refused to match). Since then, Under Armour has made significant headway in the shoe business, and the original endorsement deal signed with Curry continues to be defined as nothing short of a “steal.” In 2016, one Morgan Stanley analyst estimated that the affiliation with Curry could be worth up to $14 billion to the company and its shareholders, on the back of a 350% increase in basketball shoe sales. And although Nike still owned the top 3 spots of endorsed shoe sales in 2017, Curry and Under Armour claimed the 4th spot. As a result of all its success on the back of the 2-time MVP, Under Armour has signed Curry to an extension through 2024 in a deal that includes equity in the company. 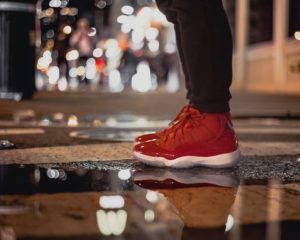 Following in the footsteps of Under Armour’s success, companies like Puma, Adidas, and New Balance have recently ramped up their endorsement efforts in the basketball world. Companies like Under Armour, State Farm, Heineken, Capital One, and many more, use endorsements to grow their already healthy brands to new heights. But what about brands that have fallen from grace? How can brand managers revitalize a brand and return it to its former glory? In a previous post, I discussed how Levi’s leveraged stadium branding as a key component of its revitalization efforts; however, that is just one of many tools available. In fact, endorsements can also be an extremely effective strategy in rebuilding brand equity. While Under Armour is busy fortifying and growing its position in the shoe business, competitor New Balance is kicking off its comeback via an endorsement deal with NBA star Kawhi Leonard. The company hit its peak in the basketball world in the 1980s with its high profile partnership with James Worthy, but hasn’t released a performance basketball shoe model in about a decade. Even within the same industry and sector, we are witnessing endorsements being used as a multi-tool. But the power of endorsements is not limited to the shoe business. Today, we are seeing another revitalization attempt from a brand that once defined the mobile category. Palm, the maker of the undeniably iconic Palm Pilot of the ‘90s, will lend its name to a new line of devices that recently launched. According to a recent Bloomberg article, two former Samsung employees launched Palm Ventures and licensed the Palm name from a Chinese manufacturer that now owns the brand (and also owns the BlackBerry brand). For Palm, there are 2 main obstacles to its revitalization efforts: 1) it must reintroduce itself as a player in the mobile device and/or wearable market, and 2) the brand managers need to sufficiently differentiate Palm from the immovable incumbents, such as Apple and Samsung. To make a splash with its relaunch, Palm has secured an endorsement deal with NBA icon (and Palm investor)… Stephen Curry. The Steph Curry endorsement is a great move towards achieving the brand reintroduction, particularly given his positioning in the Bay Area. His marketing efforts have the potential of creating brand awareness among one of the top target markets for mobile devices. Palm originally found success as a mobile device for the business traveler, one of the first to offer reliable email service on the road. With Apple and Samsung now controlling most of the personal mobile device market, the new Palm phone is being marketed as a “companion device” to your existing smartphone. The tiny device is being positioned as a replacement for smartphones in certain situations where carrying a large device might be cumbersome – going to the gym or going out to dinner for example. Through this repositioning, the company is attempting to leverage its original brand equity as a mobile device pioneer, while laying the groundwork for new sources of brand equity as a companion device. The revival of a brand shares many strategies and tactics with the accumulation of Brand Equity for an entirely new brand; however, certain nuances exist that can supplement the efforts for a once iconic brand. As someone with a vivid recollection of the desire to own a Palm Pilot (and someone who appreciates the art of the 3-pointer), I am rooting for the success of Palm. To this point, Palm has not been able to leverage its Curry endorsement quite like Under Armour, but a 4th NBA championship might just turn the tides. Only time will tell if I’ll be checking my iPhone or my Palm underneath the table at future dinners. Fill out the form below and one of our staff members will get in touch with you.